Having gone for quite some times to different fantabulous white sand beaches with Resorts equipped with state of the art facilities and first class services, my idea/thought for an ultimate perfect Beach Lounging has become this luxurious. 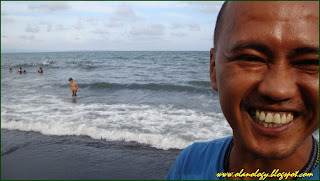 But this thought has changed when I visited a Public Beach in Toril, Davao City. 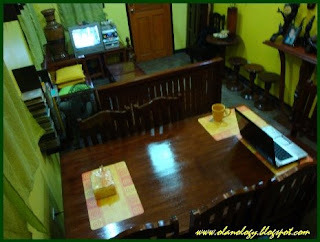 TORIL is a semi-rural area in Davao City, about 30 minutes to an hour ride to downtown Davao. 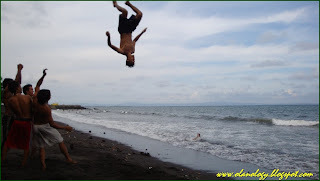 Situated along the coast of Davao Gulf, Toril Beaches have been one of the favorite beach spots of nearby locals looking for a thrifty and economical beach outing. No entrance fees. No corkage fees. Everything is free except for the few cottages for rent. 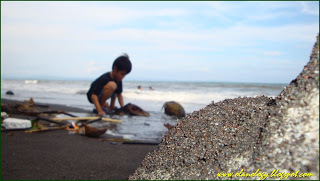 But the whole place offers only simple Grey/Black Sand Beaches. No white sand beaches. No crystal clear blue waters. No luxurious services and first class facilities. Everything you’ll see is SIMPLICITY! Everything I saw is a plain simple beach life! BUT what amazed me was the fact that at the back these simplicities and behind its plainness, I’d seen hundred of smiles and a bundle of joys in everyone’s faces enjoying the simplicity of the beach. For simple people with simple joy, this is their pleasure. It is where they find bliss. Just like this group of young boys enjoying their greatest times. I almost believed that this can be simple paradise for simple people looking for simple pleasure until i saw something that almost threw out my intestines. This is a reality. Behind its beauty of simplicity lies a sad fact that needs attention. We all need to care for surroundings. Be it beaches or our own dwellings. If so, its simplicity becomes a luxury. I am so fascinated with wood crafts these days that I wanted to fill my little abode with lots of beautifully carved furnitures. This has actually been what i always wanted to see in my little home. WOODCRAFTS! 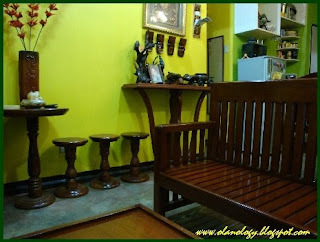 Today, my little neo-ethnic home looks like a mini showroom of different Narra Furnitures PROUDLY made in my hometown Cateel. The roots of this fascination trace back growing in our small town of Cateel where these beautiful masterpieces are sold extremely cheap. 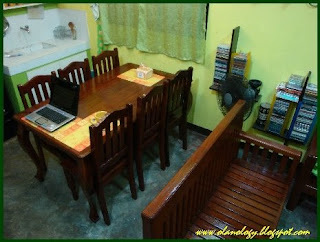 Back home, most of our furnitures and fixtures were made of Narra Lumber. Our old Spanish inspired Sala Set served as a beautiful welcome treat for our home guests. It was simple but undeniably classy. Our dividers, aparador, cabinets and console tables were just elegantly radiant. 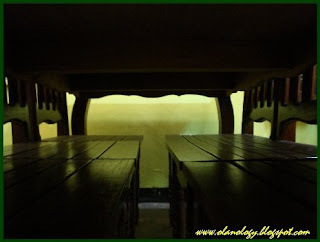 Every corner of our house were filled with Narra Furnitutres. But it was my Popo Mante's Narra Rocking Chair that was everyone's favorite. It was placed at the our old house balcony. I remembered how my cousins and I fought over at it. ‘Twas real fun. 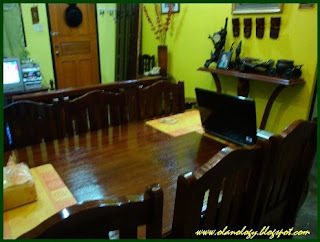 And the Narra Dining Table we had elegantly added sophistication to our simple meals. These were all pieces of furniture I dearly missed so much at home. Now that I live here in the city for nearly a decade now, I come to know that those masterpieces are truly expensive. Owning one becomes already a luxury. Costly, expensive. Though now these beauties are quite costly, it doesn’t stop me from getting one for myself. 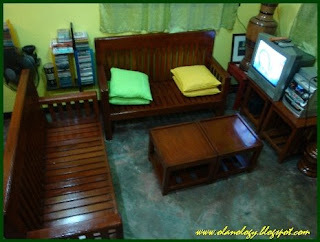 After saving few bucks, proudly I am able to buy beautiful pieces of furnitures I specially design for my little home. Simple yet elegant. Have you heard or seen a 21,000 hectare of protected mangrove forest were 18 of the rarest and endangered mangrove species in the Phillipines grow? Yes! 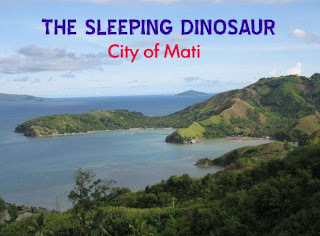 The City of Mati boasts to be the home of these incredible spectacular trees and shrubs. Mangroves (generally) are trees and shrubs that grow in saline coastal habitats in the tropics and subtropics. Meaning, it grow only in salty water. 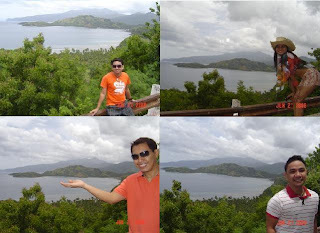 In the City of Mati, the sitio Guang Guang is where a 21,000 hectare of 18 variety of mangrove forest is located. This is protected by DENR and the Guang Guang locals. This sanctuary is known as Guang-Guang Mangrove Park. For DENR, it is called as Guang Guang Marine and Research Center where it also turns into a nesting sanctuary of sea turtles (pawikan). It is also astonishing to note that at some point, one could catch a good view of migratory birds flocking at one place. Looking at it from afar was truly spectacular. I have seen beautiful mangrove forests from my previous travels and even in my hometown but Guang Guang Mangrove Park is certainly unique and incomparable. My friends and I didn’t waste time taking pictures at the place. Wendel even said he had to capture the chance because he may not be able to see such a spectacular view again. Phillip on the other hand tried to study every inch of these amazing trees. Amazed and mesmerized. Luckily, he brought his binoculars with him to take a closer view of these vast reserves. For Maricar and myself, Guang Guang Mangrove Park can be a whole lot fun for a different taste of candid pictorials… And so… Here’s what we got… We spent an hour in the place. Savoring the moment of being there was a rare experience. The four of us indeed concluded that this Park should be protected, nurtured and preserved. So, when in Mati, never leave without visiting Guang Guang Mangrove Park. Truly, a rare pride of Mati. 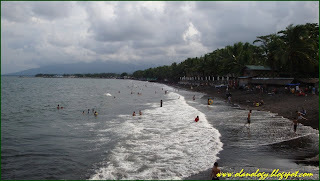 For individuals like me who are fascinated with BEACH LIFE, the City of Mati is the ideal place to be. This newly established city is blessed with beautiful beaches boasting a lengthy stretch of refined white sand and tempting sparkling blue-greenish water. 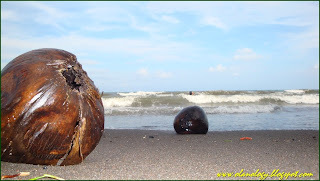 And one of these eye-catching beach havens is the beautiful Dahican Beach. Upon arrivals, my friends and I headed immediately to Mati’s newly constructed Public Market. 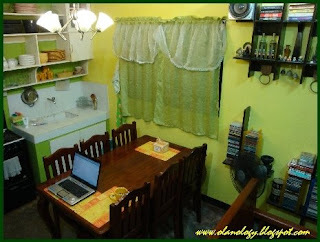 We were amazed because the place was well structured and awfully clean. 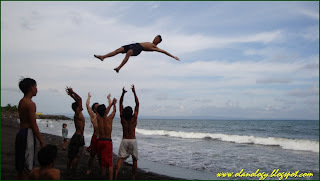 After purchasing our foodstuffs, we excitedly headed to Botona Beach Resort located at the very heart of Dahican Beach. 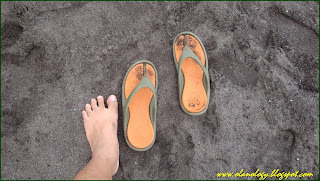 Crystal clear water, white Palm Beach and a tranquil coast: these are what we experience and see when we first set our feet at Dahican Beach. 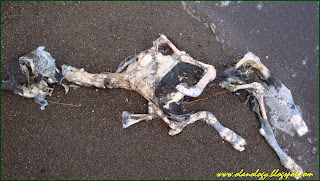 Dahican lies along the seas of the mighty Pacific Ocean. One can catch mighty waves just so ideal for a great thrill for surfer, windsurfers and skimboarders. 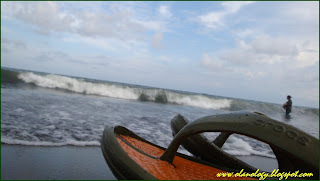 Dahican Beach’s serene and tranquil shores make it a great escape from strenuous busy life. Its old fashioned way of beach lounging made it become more relaxing and comforting. No parties, not crowded, simple beach life. 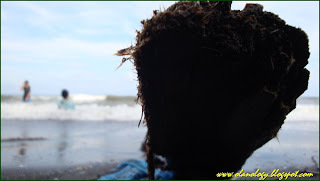 For friends like ours who enjoy taking vivid snapshots at the Beach, Dahican is simply irresistible. You can do whatever you want. Just like what we amusingly and humorously did. But of course, who can’t say no to the calling of its waters? LOL! It was enticing. Wet on the beach, just perfect for a great pose! Explore Dahican and embrace its charm of tranquility! Find out what’s more to expreince. More to see and more to enjoy. FOR US, it was a worthy beach adventure.